It’s pretty common to think that all dogs are natural swimmers. ‘’Doggie paddle’’ must have gotten its name for a reason, right? So, let’s break the myth once and for all – are all dogs born swimmers? Dogs have many natural instincts, such as barking, digging and sniffing around. But, is swimming a part of these natural instincts? You probably saw many dogs swimming gracefully in the waters, and you might have wondered “Can my dog swim? Can all dogs swim?”. The truth is it really depends from breed to breed. Let’s explore this interesting question a bit deeper! Scroll down and find out if you can take your dog for a swim. Is Swimming An Innate Ability? What Breeds Are Good Swimmers? What Breeds Are Bad Swimmers? The answer is – no! Even though many breeds are amphibious and start swimming as soon as they get into water for the first time, other breeds sinks like rockets. For some dogs it’s almost an impossible mission to keep their head above surface. So, it’s good that you’re here! Your dog might not be so crazy about swimming and, in fact, doing so could eventually do him greater harm than good. Do All Dogs Know How To Swim? Dogs can roughly be broken into three categories. If your breed falls into the second category you shouldn’t occupy yourself and your dog with swim training, they are usually in vain and could be very dangerous. Some dogs are just made to enjoy water and love spending their time swimming. It will be easy to discover if your dog is one of them, as you probably will just see him running towards water as soon as he sees it. But let’s see what dog breeds are natural swimmers that fall into our first category. Examples of dogs that swim and are good at it are: Golden Retrievers, Irish Setters, English Setters, Water Spaniels, Poodles (and their crossbreeds) and the Newfoundland. They are all excellent and natural swimmers. Why are some breeds better than others at swimming? The answer to this question should be searched for in the anatomy or genes of a breed. Dogs with strong limbs are good swimmers. When it comes to genetics, many were bred for water rescue or to retrieve waterfowl and have a strong tradition of swimming. This is why they generally enjoy spending time in water. What Body Characteristics Are Indicators Of Good Swimmers? Some body characteristics are very stable when your want to find out if a breed is a natural swimmer. Water-resistant coats, evenly distributed body weight, otter-like tails, longer legs, webbed feet are the main indicator of great swimmers. Sometimes, all you need to know is the breed name. If a dog’s breed name has ‘‘water’’ in it, for example Irish Water Spaniel, it is most likely that it is a natural swimmer. Some breeds like Poodles were bred to be hunting companions and would jump into the water to catch the hunted pray. These genetic traits will also likely indicate how well your dog will do in water. Here’s a list of 10 good swimmers! This dog loves water in all forms. Puddles, rain, pools – you name it! This may come as a surprise, but ’’pudelin’’ in German actually means to splash in the water. The biggest retriever is a mix between Newfoundlands, hounds, setters and water spaniels. Is any more explanation needed? Boosting of energy, intelligence and activity. Great at tracking and retrieving in water, as on land. Bred for bird hunting and therefore have, like other retrieving breeds, webbed feet. If they see a bird they want to catch in the water they’ll dive in right away. 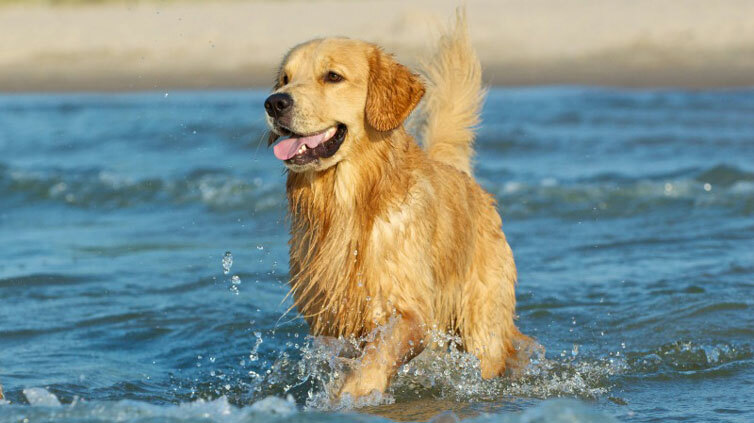 Many Golden Retrievers have been trained to search water and help in rescuing missions. Naturally water-repellent coat, playful, love exercise in all weather, but especially swimming. With its Portuguese origins, these dogs served as couriers from ship to shore and worked at herding fish into nets. Webbed feet, rudder-like tail and usually water lovers. Great combination for great swimmers! Hard working and athletic, this breed was taught to retrieve and assist fishermen. What Dogs Are Bad Swimmers? When it comes to the second category, there are dogs that have very slim chances of becoming swimmers. Some breeds are more likely than others to be bad swimmers. Those with short legs, short faces and low bodies don’t have what it takes to become good swimmers. Read further and find out which 10 breeds are the worst swimmers! What Body Characteristics Are Indicators Of Bad Swimmers? Some genetic predispositions will tell if a dog should stay away from deep water. The most important are: short legs; stocky with bid heads; flat, wide skulls with short noses; heavy coats or thick undercoats. Naturally, short legs in comparison to the body will make it very difficult and tiring to swim. In addition, flat faces makes breathing hard and increases the chances of water getting up to nose. This Bulldog is definitely not made for swimming. Because of their deep chest, dense body, and short legs and round barrel their chances towards becoming swimmers are very slim. On top of that, their short-nosed faces prevent them from breathing when exerting themselves. If they get water up the nose they will quickly face problems. 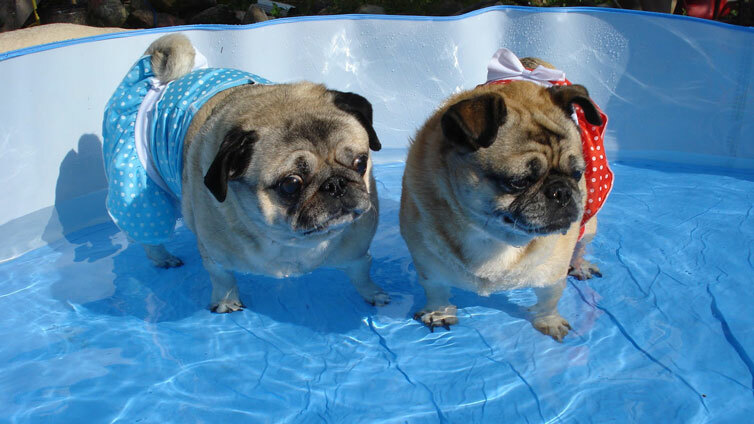 As you can probably guess, pugs aren’t built for swimming neither as they have the same traits as the bulldog. One more bully bread for the same reasons mentioned above. The French bulldog is no more a ”water dog” than the English bulldog or the Pug. On the other side, these bulldogs are very active and love playing in the water, as long as it’s shallow. 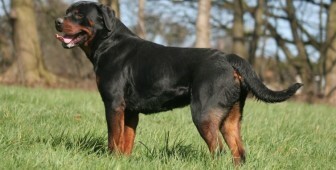 This breed has a dense body, large barrel and short legs – all of which is preventing him to be a good swimmer. A long body and short legs don’t make a good combination for swimming. Not only is it very difficult for swimming, but they can drown even in shallow water because they’re so short. Don’t let your dachshund out of your sight in these situations. Dense body, short legs, deep chest – typical bully bread problems. 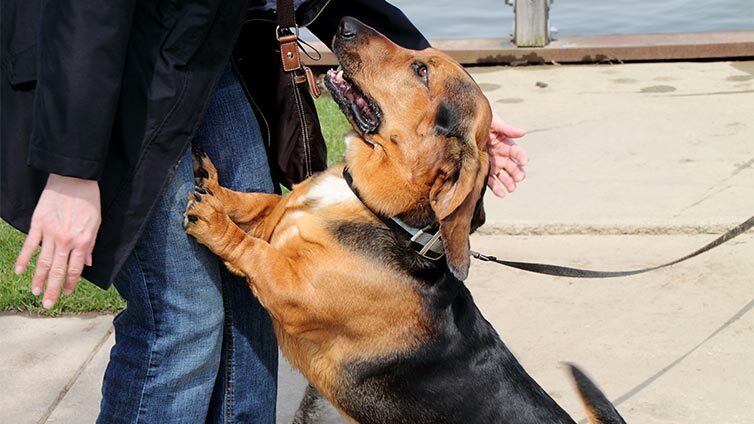 The Basset has very short legs compared to its body which make them tire easily so swimming can be quite dangerous for bassets. 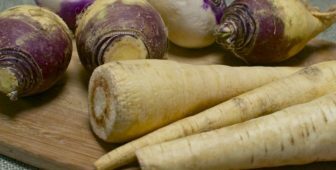 On top of that, its long and droopy ears are prone to pick up bacteria from the water which could lead to ear infections. This is why your basset will most probably be happiest in shallow water. Under all the fur hides a deep chest and shorter legs which makes this breed a bad swimmer. The Chow also has a short-nose that can in a short time fill with water and cause breathing difficulties. Another combination of flat face and short legs which results in bad swimming. They are also not the strongest breed, so they will quickly tire if they have to swim longer distances. 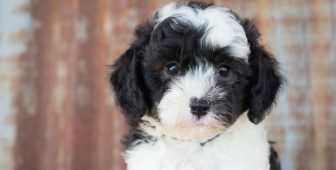 This little dog has a flat face, small legs and a round, deep chest. If they are in full coat it gets very heavy for them in the water. It can drag them down, cover their face and make breathing harder. Now let’s take a look at the third category. These are the dogs that have the physical capacity to swim but something is holding them down. What could be the reason for that? It’s not uncommon that a fear of water is stopping them. When you put them in water they panic, which makes them exhausted. Exhaustion makes drowning much more easy. If you notice that your dog starts climbing on top of you, kicking and scratching these are all signs that your dog is terrified of water. Another thing that can influence your dog’s swimming is its personal temperament and its preferences. Some dogs hate water in general, and don’t even like being out in the rain. There are also those who like water and don’t mind spending time in it, but just don’t like swimming that much. Check out this video and see for yourself! If your dog fall into this category you can try to overcome the fear or invent ways for him to enjoy the water. However, don’t push it. 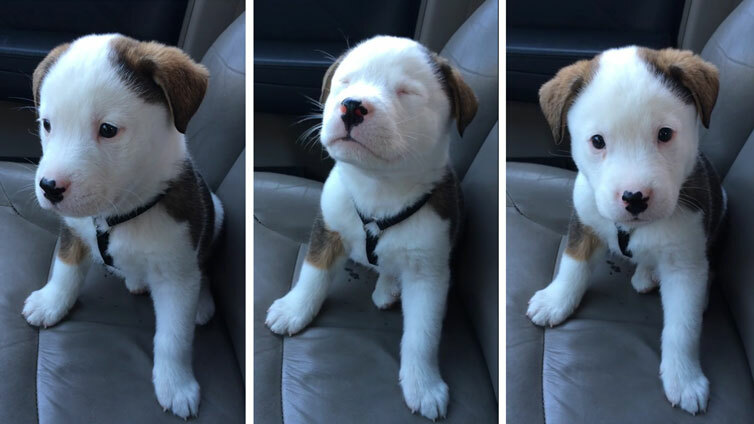 If you try a couple of times and still see that your dog isn’t enjoying at all, stop forcing it. There are plenty of other things to do with your dog! If on the other hand, you see that your dog is not scared of water and looks just a bit hesitant when it comes to swimming, you might try teaching your dog to swim. How To Teach A Dog To Swim? If your breed doesn’t have any physical reason that’s stopping him to swim, there are some ways you can encourage your dog to start swimming. You can try to encourage your dog by going out to swim yourself and see if he or she follows you and reward with a price. Another way is to play fetch, by throwing a tennis ball or some other floating object. 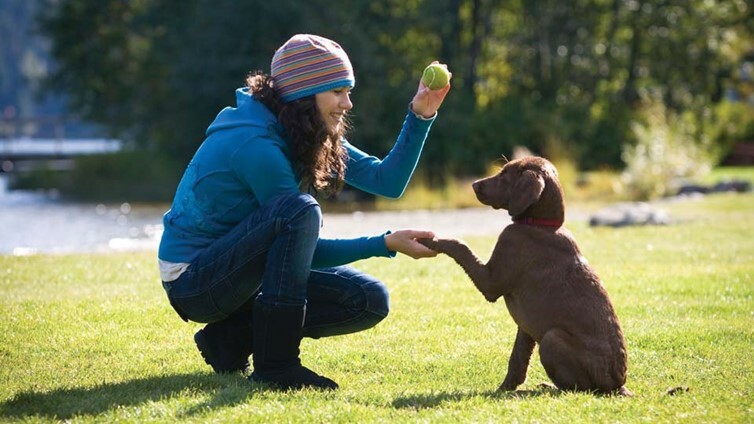 First, let your dog get comfortable step by step in a certain depth and then throw the ball in the water. By throwing the object deeper and deeper every time your dog will eventually get comfortable and start swimming. With some dogs that much effort isn’t necessary. It is enough for them to see other dogs swimming and they will happily join. When you’re starting to teach your dog how to swim go slowly. Don’t assume it will happen automatically or overnight and arm yourself with positive attitude. If your dog seems afraid, or even panicky, take very small steps. If it never comes to a relaxing point, don’t force it. This life-saver doesn’t only provide security, but makes your dog easy to see in the water. Keeping the life vest on even when your dog is only near the water is a good idea, especially at the beginning of the learning process. Teach your dog how to go out of the water, by pointing out the shallow water or the steps. If exiting isn’t that easy, a ramp or floating steps can help a lot. This is very important as you want to make your dog can exit the water if he falls in by accident. Whether it is chlorine, salt or dirt the coat should be washed off and combed to prevent tangles (if applicable). Salt and chlorine isn’t good for their skin and fur while dirt or mud may get stuck in their coat which is why you should always rinse your dog off after swimming. Don’t encourage your dog to drink the salt or pool water. Always make sure your dog has access to fresh, drinking water. What Should I Pay Attention To When My Dog Is Swimming? If your dog isn’t one of these ‘‘natural swimmers’’ breed, but still shows interest in swimming and playing in water, it’s very important that you make sure that he or she doesn’t get too tired. 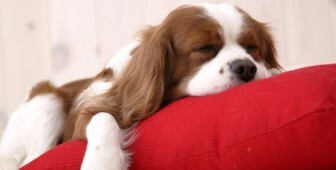 Have in mind that puppies and older dogs tire more easily, even though they are less aware of their fatigue. It’s not only that they might get sore from the excessive swimming, but they could also develop a condition called ‘‘swimmer’s tail’’ or limber tail, that occurs when a dog exhausts himself from too much exercise. Also, make sure that you don’t take your dog to places with strong currents and areas with underwater debris. What If My Dog Hates Swimming? But, what happens if your dog doesn’t like swimming and water at all? If you’re planning to go to a lake or to the sea side it’s normal that you ask yourself if you still can take your dog with you? If you have this in mind, there is no reason why you and your dog won’t enjoy a nice day together by the water. Can Dogs Swim In Chlorine Pools? Dogs are much more sensitive to chlorine than humans. Their eyes, nose and ears will likely get more irritated when in contact with chlorine water in pools. Therefore, it is better to avoid that your dog swims in a chlorine pool. If you’re thinking about building a pool for your home, look for non-chlorine chemicals such as bromine that are less harmful to dogs. If your dog however jumped into a chlorine pool, make sure to rinse him off well with a hose and dry him as much as possible with a towel. However, you should be aware that dogs might also think of your pool as a large bowl of water and could easily start drinking the water from it. This behavior should be strictly discouraged. Dogs can also drown in water. 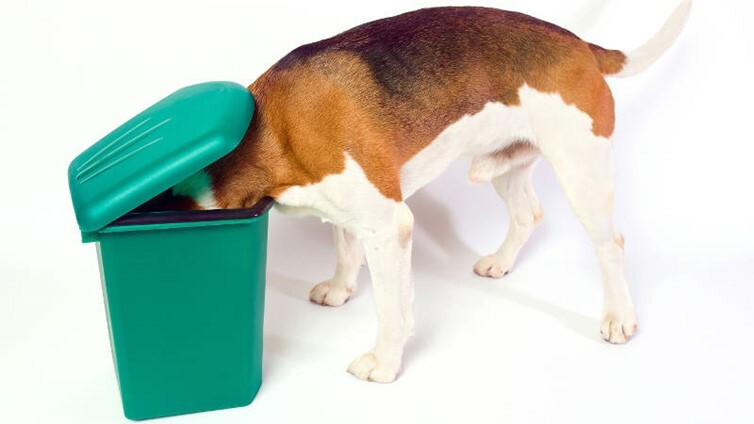 This happens when a dog inhales water which causes obstacles in the respiratory system. Make sure you never leave your dog unattended while in water and always have a safety plan to help your dog in case of drowning. If a dog nearly drowns, there are still risks that might lead to death. Therefore it is crucial to give a dog adequate assistance and an immediate care after a near drowning episode. How Long Can Dogs Swim? The optimal amount of time spent in water depends from dog to dog. The factors that will influence the swimming time are dog breed and your dog’s fit level. If you’re bringing your dog to swim for the first time, then do not exceed 5 to 10 minutes. If your dog is quite fit and muscular, it could probably stay a bit longer in the water. However, it will be necessary to include rest periods throughout the swimming time so your dog can get some rest and return his normal breathing rate. 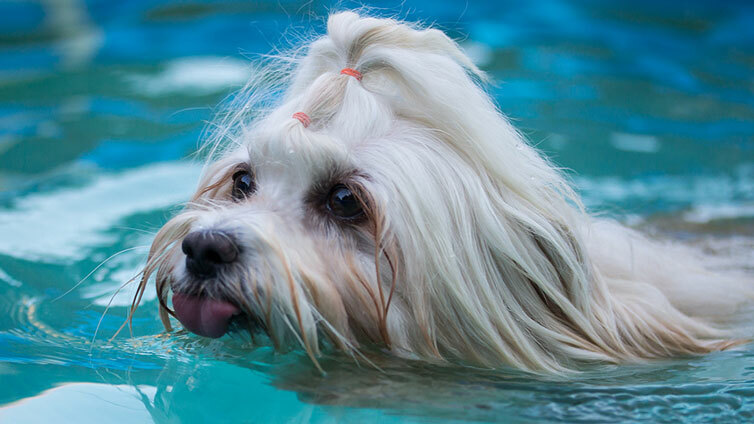 Some dog breeds will also enjoy swimming much more and will therefore stay in water longer than other breeds. Make sure the water is not too cold for them too. As we can see, not all dogs are natural swimmers. Some have the physical predispositions, some simply don’t. But more importantly, even if your dog ”should” be a natural swimmer, it can still happen that it just isn’t something for them. Don’t push it and it make sure your dog is comfortable, on land or in water! 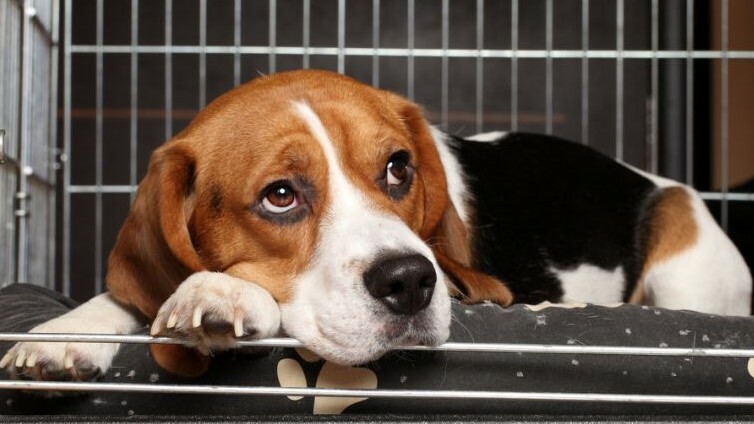 Dog Crying In Crate: How To Stop It? poodle are also water dog to they are the second smartest dog breeds in the world they like to swim anyways i have a brown standard poodle in my house he is a male his name is skyler he hates every people exept for me he is very loyal to me my number one favorite dog is the male brown standard poodle even though i am a girl i am a brown male poodle dog lovers to!i am from Indonesia country ,type in safari or google dogs and click the poodle picture and then you will know all about poodle!